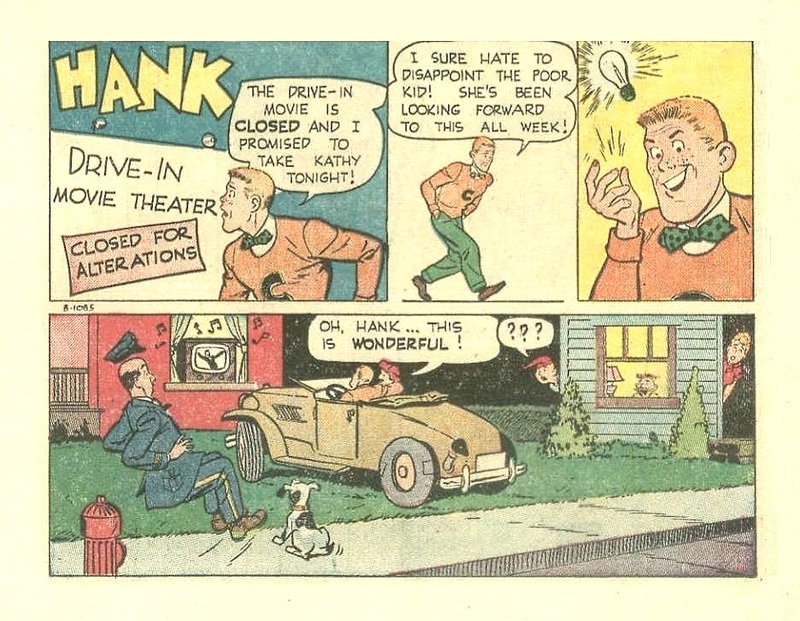 Hank promised a girl he would take her to a drive-in movie. However Hank sees that it is closed. Quick thinking Hank has a solution. See his solution above. Note the TV, a long time ago TVs used to look like that.